What Does The List Include? Our comprehensive lists include not only individual email address, but contact name (first and last), school name, type of school, mailing address, phone number, school district, county and CEEB code (click here for a sample database). Other selects available also include median zip code income, religious affiliation, minority population percentage, Title 1 eligibility and more. How Are Your Lists Compiled And How Often Are They Updated? HSCC’s dedicated U.S. research staff perform constant, rolling verification of all data, monitoring over 20,00 school websites, and maintaining regular contact with Counselors via phone and email. All counselors receive quarterly reminders to verify and update their contact information via our proprietary web-based interface, and the majority also receive the weekly Newsletter email during the school year. 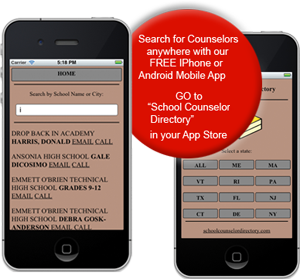 This ensures we receive feedback directly from the Counselors themselves, and can track changes on a real-time basis. As a result, our lists are literally being updated daily and are by far the most accurate available in the industry. What Format Are Your Lists And Are There Any Restrictions On How Often I Can Use The Data? The lists are provided in an Excel format and can be used as often as you like during the 1 year licensing period. Free updates of whatever lists you order are also provided approximately every quarter so you are constantly receiving updated information. Do You Offer Specialty Lists? Yes. We have many different types of specialty lists including the US News & World Report’s top ranked public schools, the US News & World Report’s top ranked stem/charter/magnet schools, private school only lists, zip code income, international, religious affiliation, independent counselors, community college career/transitions counselors, US and International IB schools, largest metro markets and more. Are You A List Broker? No. All our proprietary lists are compiled by our own domestic staff and we do not use any list broker services. Are There Advertising Opportunities Available For Your Digital Newsletter and Digital Directories? Absolutely. 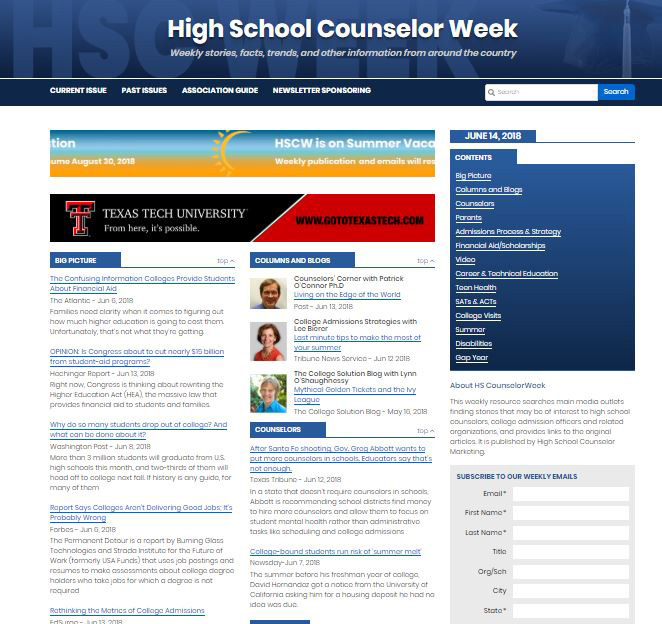 There are several types of banner ads and digital advertising opportunities available on our weekly newsletter, High School Counselor Week as well as on the weekly email notification reminder. As for the Digital Directories, there are full page color ads available throughout the publication. Both products present opportunities to increase your Counselor outreach plus there are great discounts available for multiple Counselor product purchases. Talk to your rep for further details. We have been working with High School Marketing for several years and have found their products to be an invaluable resource to reach the High School Counselor Connect. 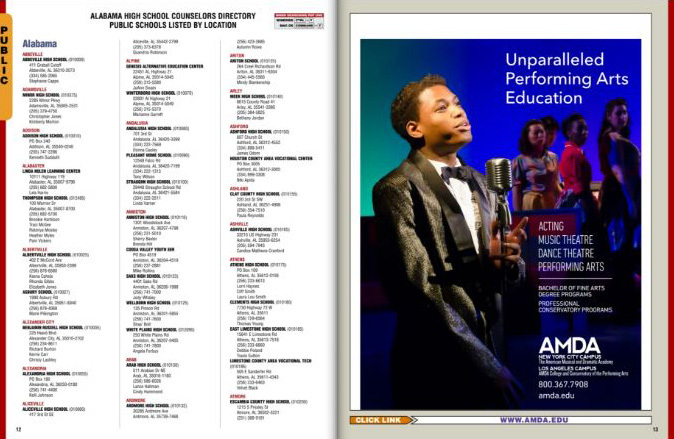 Their lists are always updated, and our ad in their annual directories provides a great source for making sure Counselor’s know about our school, especially when reaching out to new markets. We have purchased the High School Counselor lists the last few years to promote our different outreach events throughout the country. We have found that the use of this data has significantly increased our attendance at these functions. The lists are not only accurate, but continually updated and we have found that there is no better source to reach this key market for our recruiting efforts.